It seems yahoo has discontinued its Vista Project for messenger.As per latest yahoo blog , its stopped.IT was inevitable perhaps after release of final version of yahoo messenger 9.0 which is still a bit unstable and having bugs apart from many improvements compared to version 8. If youâ€™re using Yahoo! Messenger for Vista, you can continue to use it however we will not add any more features or provide product support. To enjoy full Yahoo! Messenger functionality including photo sharing, webcam and chat rooms, we recommend downloading and installing the latest version of Yahoo! 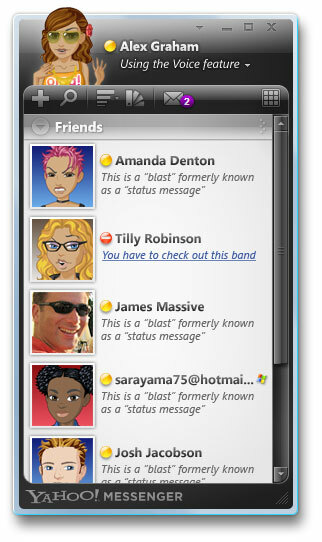 Messenger 9.0, which also works on Windows Vista.